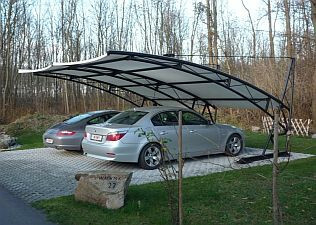 POWER CARPORTS (vehicle canopies) offer complete protection from hail, sun, rain and snow. Concrete foundations or other heavy construction work is not required for assembly. 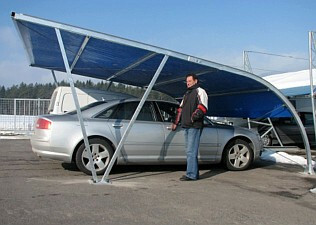 All models of POWER CARPORTS (vehicle canopies) may be installed on any hardened surface (compacted soil, asphalt, pavement...) via ground pins / anchors. 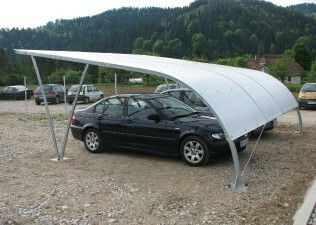 Extremely simple and rapid installation allows the purchaser to install canopies under the instruction of POWER installation engineers, or if desired, POWER engineers will carry out the entire installation.